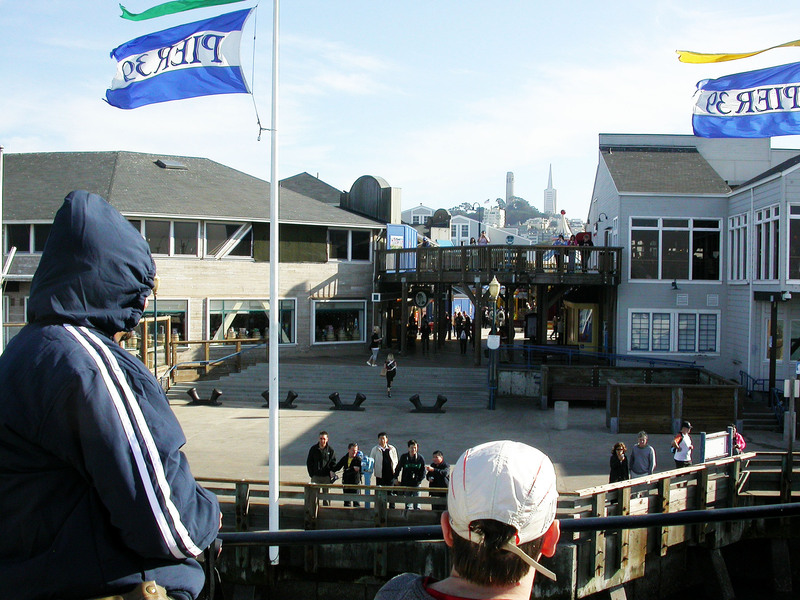 Pier 39 is an old dock wharf that has been converted in an area of shops and restaurants. 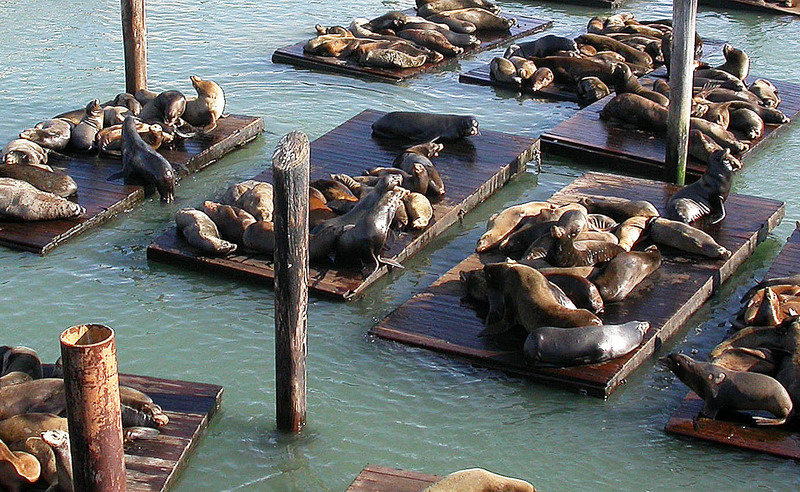 But perhaps their most famous residents are the Californian Sea-Lions which use the rafts in the wharf as sun-beds! But they have not always been a feature. 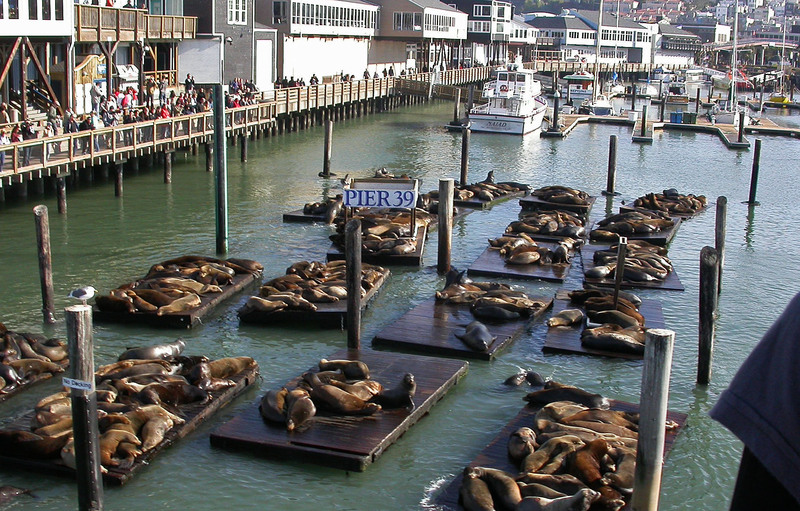 The Pier 39 development opened in 1978 but it was not until 1989 that the first sea-lions appeared, By the end of that year the average was around 12. In 1990 this quickly rose past the 100 mark. 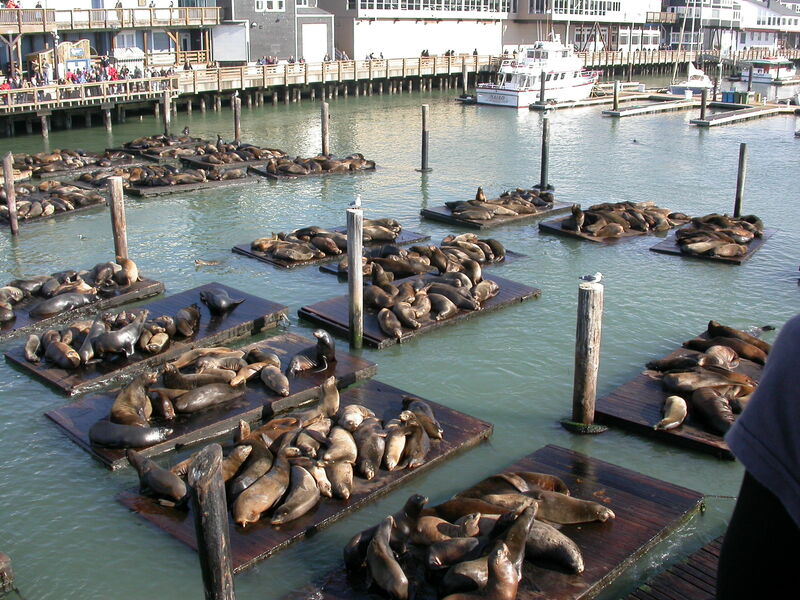 In November 2009 a peak count of over 1000 was made. 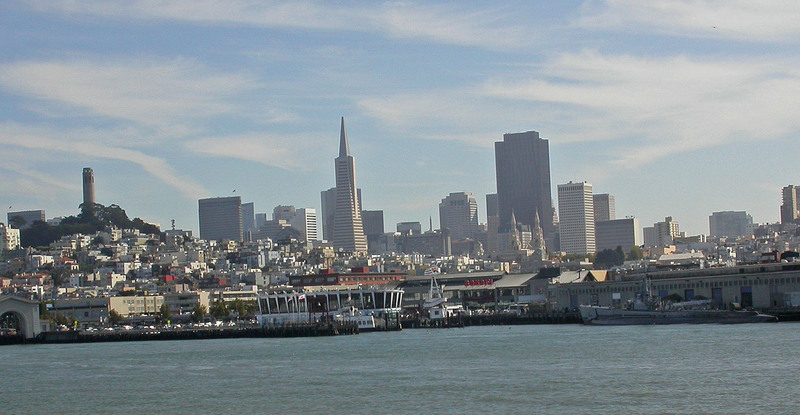 Number s drop dramatically in December and Pier 39 can be totally abandoned by the end of December. Numbers then begin to rise again in February and through the spring and summer. The reason for this fluctuation in numbers which occurs annually is unknown. 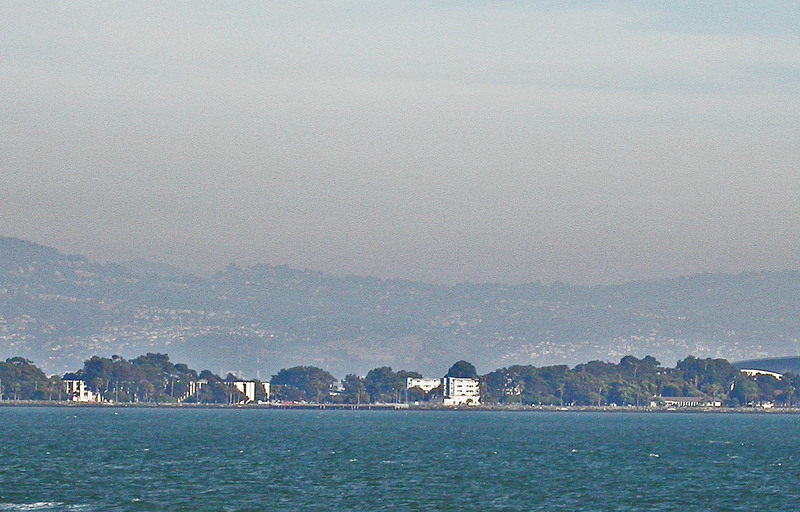 Alcatraz Island has been the site of a lighthouse (the oldest one on the west coast of the USA); a military fortification; a military prison (from 1868); a federal prison (from 1933-1963) and is from 1972 a National Historic Landmark. 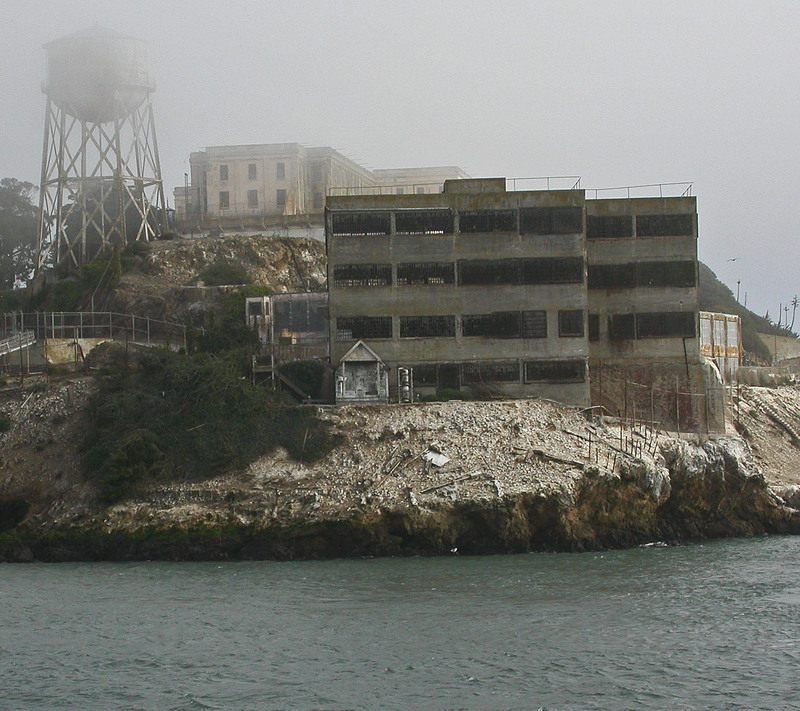 Its height of fame was reached during its time as a federal prison when many famous criminals were incarcerated here including Al Capone; Robert Stroud (made famous as ‘The Birdman of Alcatraz’ by a 1962 film) and ‘Machine gun’ Kelly. 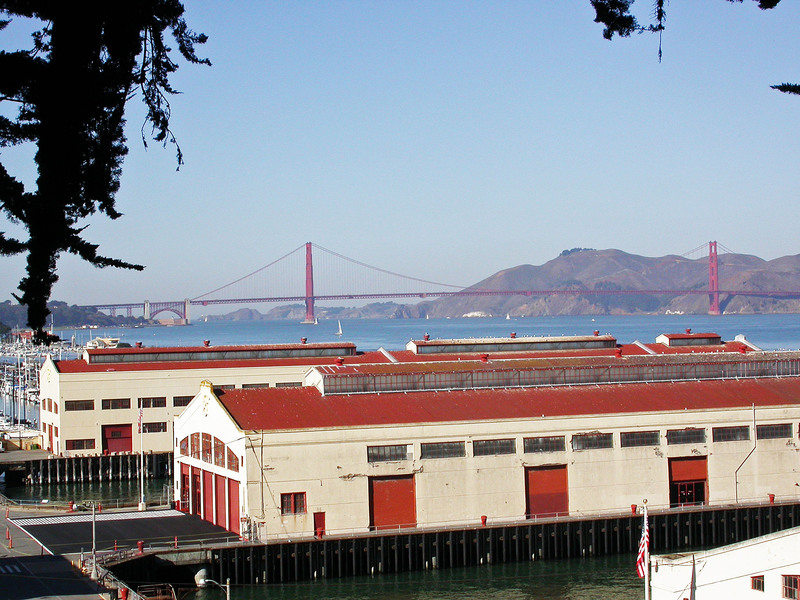 This was the first time I had sailed under the bridge and actually seen it. 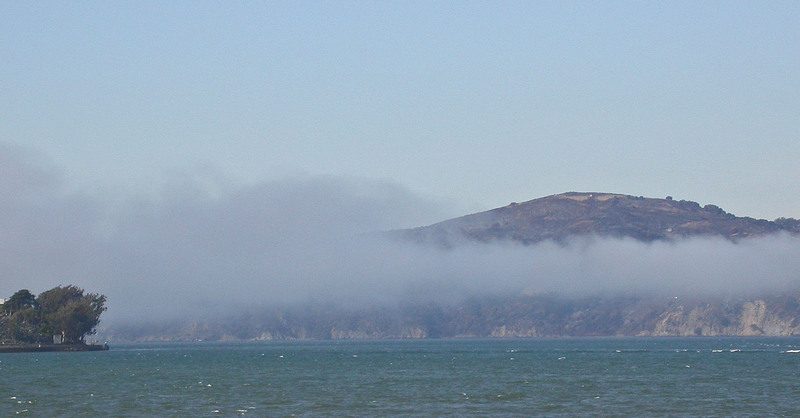 On my previous visit the mist was so thick that all you could hear was the noise of the traffic over your head as you passed underneath!